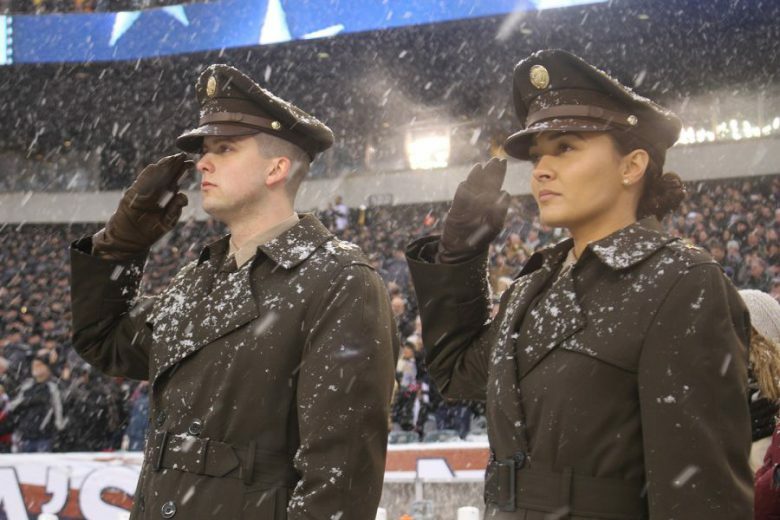 Posted on November 26, 2018, in Current News, Uncategorized, WWII and tagged 1940's, Army, family history, History, Military, Military History, Retro, Uniforms, veterans, WWII. Bookmark the permalink. 112 Comments. I love the humor on his posts. I’m glad you noticed; many think I’m solely a very serious person because of the topic. Nothing said class, quality, and integrity like those uniforms! You must do a lot of work with re-enactments, eh? Our ROTC unit had ike jackets and the heavy wool olive-drab trousers. I miss ike jackets, seat belts work better without all the extra material in the way. I never thought about that, with the seat belts – you’ve got a good point! Thanks. I really like the retro look of the Greens, not as formal as the Dress Blues. A different, but enjoyable post, GP! Thank, Tiny. Seems the new retro look has the A-Okay from those here in Blogsville!! Blogging also gives us the opportunity to ponder over many absurdities.Thanks for sharing so many great posts, my friend! Thank you. Your blog has given me many a pleasant morning over coffee!! 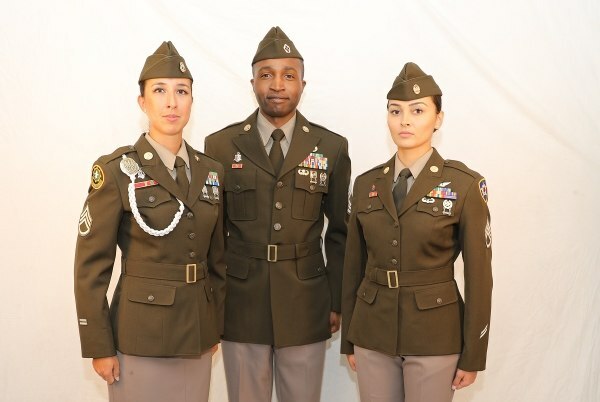 Retro military uniforms? Who’da thunk it? I think it’s cool, and I like the look. Great post, GP. Hugs on the wing. It has become one unanimous vote in agreement here on this!! I was speaking to the author of this book the other day (link below). We mentioned the “excitement” that the WWII American uniforms caused the local Aussie girls. Zippered trousers created a much flatter and flattering line in comparison to buttons! Well, Eleanor had better be prepared to get ‘excited’ again, eh?!! Terrific. So far it’s unanimous!! Thanks for visiting. I’m glad you liked the post today!! Yes, I like the new uniform. Although as an Aussie I still can’t get over having all those ribbons. Most soldiers would only have two or three. ie Vietnam 2 and a couple of unit citations. But I do like the new uniforms. 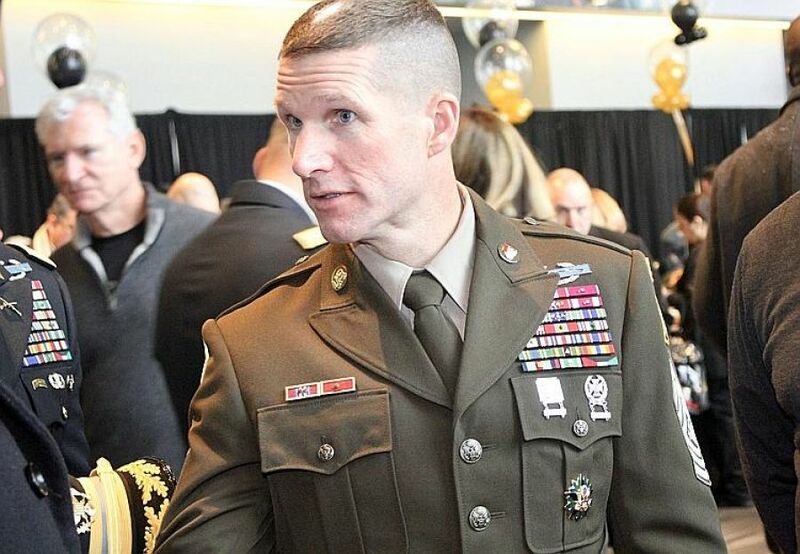 If you’re talking about Sgt Major Dailey, he would have earned each one of those ribbons – it is no small feat to become a Sergeant Major. And he has been in the service since 1989. I am sure he has earned them all. It would be interesting to learn what they are all for. The main ones are in that link I sent. Wow. Thanks for that. Very impressive. How interesting that the US army is opting for a retro look rather than something ultra modern. I think the fact that that era was when this country was most unified. I think this new Army uniform is nice; that WWII feel is awesome! Isn’t it though?!! I think they made a wise choice! Thank you, Mary Lou. You and I definitely agree! This is a most interesting note GP! I think the retro look is the best. We shall see. The change is for some unknown reason. But for some timer I have wondered why the entire world’s military started wearing camouflage uniforms. And then why could any joe blow buy USA military uniforms at surplus stores. Wondering…. You ask good questions, but at the moment I can not answer them. I’ve often wondered why you could buy them too. I think it’s a great change. In a way it honours those who fought and died in it. That’s how I feel, plus (to me) it is better looking. I really like this uniform. Glad it’s a ‘go’. You and me both, Jennie!! Love the new/old look. I recall in the old days when I was an AF officer’s wife, the time the AF brought in new uniforms – which were pretty high in polyester count – the guys all thought they made them look like bus drivers. (They lacked only the greyhound logo!). I thought so – thanks for stopping by, Diane! US service uniforms have always been so much smarter than the British equivalents. That WWII design (IMO) was really sharp, though I never found any fault with the British. LOL! I think the non-elite units should get golf shoes! That would really set them apart. Just kidding! Great post. 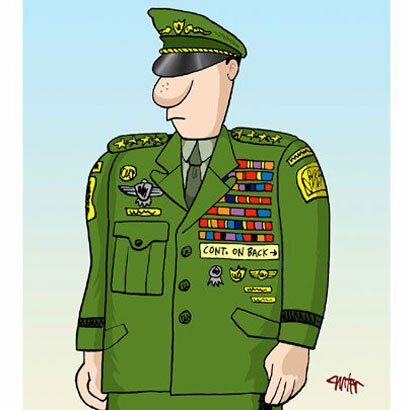 I hated the OD green fatigues we had when I enlisted. I thought the kakhis looked pretty sharp, but they were phased out in the mid-1980s. 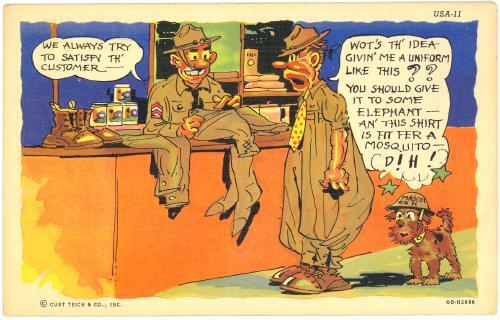 I really did like the jungle fatigues we were issued in Panama. Very comfortable and practical but not workable when you wanted to look sharp. I hated the BDUs. Hot, uncomfortable and ugly … but at least you didn’t have to iron them!. I do like the look of the new uniform. Very WWII-ish. I do think you need a sharp garrison uniform that instills a sense of pride and esprit de corps. Combat uniforms, by necessity, need to vary a great deal depending on where troops are operating. Thanks for describing the old, so you and I agree – it’s in with the new or should I say Retro! When I went in they were about to fade out the WWII uniform and bring in the new uniforms. I was issued one of each. Not many liked the change. We wanted to keep the Ike jackets. We’ll see what happens, they aren’t finalized yet. I personally like the retro. I’m with the thought that if the soldiers like it, I’m good. I do think it’s a good design. We agree on both counts. Thanks, Dan! Being “retro” kind of guy (as witnessed by my taste in cars …) I’m glad to see the Army do this. Good move! 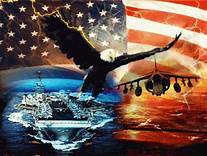 Thank you for your comment and for reading the Salutes!! I appreciate the link – I’m on my way….. I like your choice of words–“opportunity to purchase”. To them (and I speak from the experience of my daughter–the Navy changed their uniforms about a year ago), it’s expensive and tedious. My daughter worked for an Admiral who wanted her in the new uniform which was only available in California (she worked at Ft. Meade Maryland). Trip home! So – the change of uniform worked out well for you, eh?! Sounds like a good change to me. I think they’re the best looking! I think the retro uniform looks great. Thanks for the report. So – it’s not just us talking about that era, eh? The Army agrees! Yea! Great uniform. I wore the Ike jacket uniform when I first joined the FL National Guard in 1955. Glad to see the Army has come full circle. You and me both – the best looking one by far! 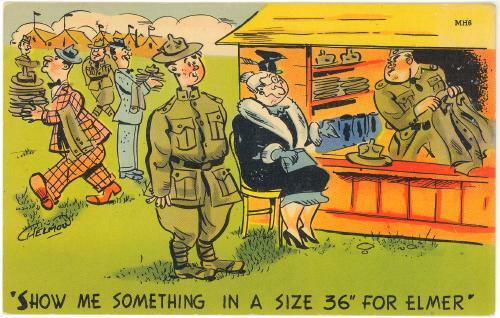 Who knew that the army cared so much about fashion choices! They change uniforms pretty much with every generation or so, I’m glad they’re going back to this one. I thought so. Thanks for visiting, Helen! Everything old is new again (except us). Great column and I loved the cartoons. Thanks for letting us in on this new Arm initiative. Retro is IN, you are so right! Happy you liked the cartoons! 1940s fashionwas far and away the best, I always thought. 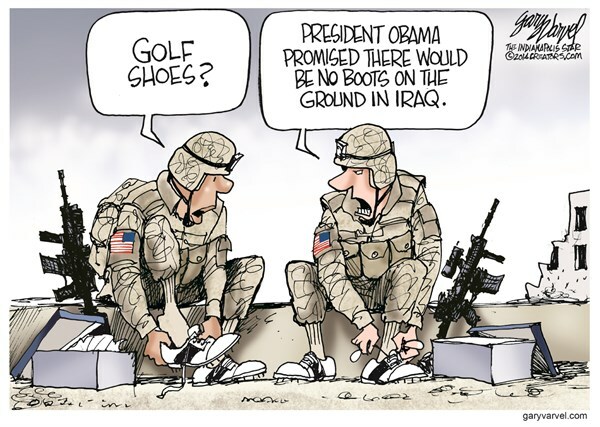 Glad to see this (the golf shoes cartoon is great). It looks great. I always love the WWII uniform. Doesn’t it?!! I’m glad they made this decision! So am I. I don’t really like the camouflage uniform although on the battlefield, it is necessary. If the soldiers are happy with the change, that’s good enough for me. Thanks for sharing the good news, GP! It was a great era of unity, what a great way to remember it!! I always loved the WWII Army uniform! It was the best in MY book!! Thanks for commenting, Will! I see no point to the change. On the other hand, I hope the new uniforms are made in the USA. The end of those goofy berets for all would be an improvement. 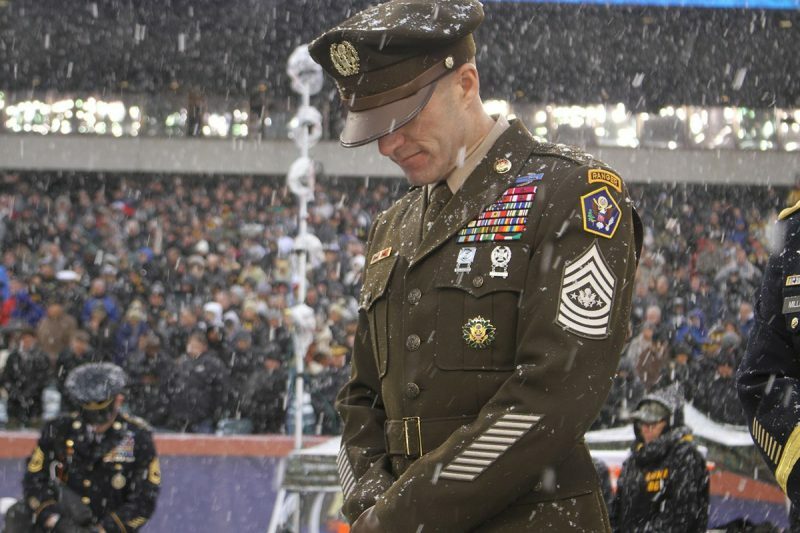 Those elite units that wore them, before should continue to wear them, re-establishing their elite status. I agree with you, Doug. I’m glad they’re changing and what better era than that, eh?!! Yes, I’d agree with that much. I personally rarly wore Class A’s when I was in the US Army since my job allowed me to wear civilian clothes most of the time or fatigues the rest. I think traveling from the US to Europe, then back to the USA later wee the two major times I wore Class A’s, with one review where as wore our summer Class A’s (khakis – they were OK). That was the sum total of needing to have dress uniforms in three years! I wouldn’t be happy having to buy the new uniforms with that lack of need, but I suppose oner would be able to get away with the old ones, if I understood the article correctly, if one were in for just one enlistment. I didn’t know US soldiers have to buy their uniforms, ours get them given, except dress uniform which they get an allowance for. When you first enlist, they’re given to you and a lot has to do with rank. Ah right. Nice they’re doing the retro design. What a massive exercise to develop and implement a uniform change. Yes it will be, but I’m I’m glad they’re changing the current one. I prefer this uniform myself! Thanks, Derrick!